Details: Embroidered Canterbury logo, Bath Rugby logo rubber. 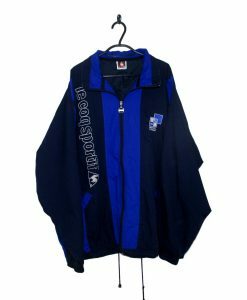 Sponsor embedded in material. 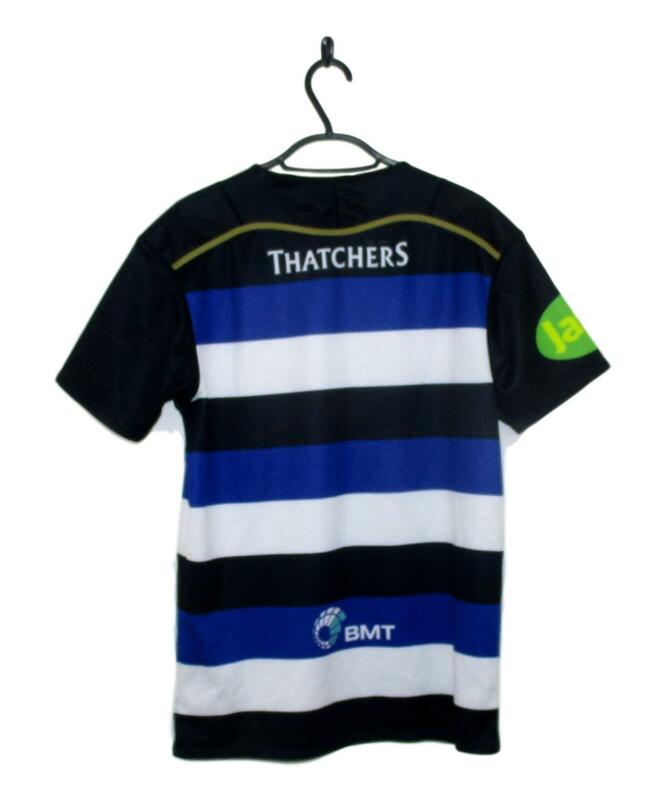 The 2015-16 Bath Rugby 150th Anniversary Shirt is made up of alternative blue, white and black hoops. The sleeves are black as is the top of the chest which features gold trim. 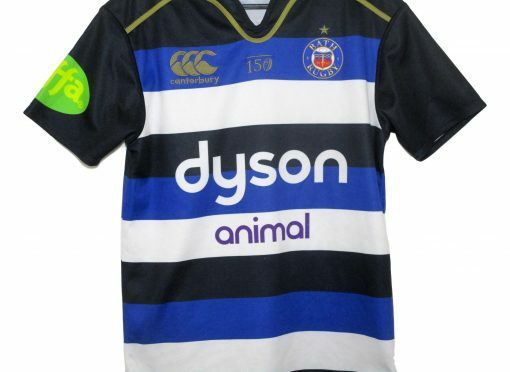 On the right breast is a gold Canterbury logo whilst the Bath Rugby badge is placed on the left breast. In between is a gold 150 motif. 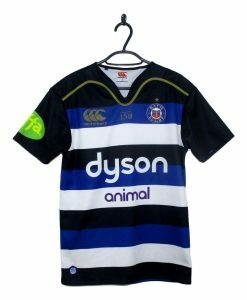 Dyson Animal have their name in the centre of the rugby jersey.